Our step-by-step process is easy to follow, making your license application a breeze! Get yourself prepared BEFORE you visit the RMV. Getting a driver's license in Massachusetts is straightforward. All permit and driver's license applications, including those for new drivers and new MA residents, are handled by the Massachusetts Registry of Motor Vehicles (RMV). If you are a new driver, you must get your learner's permit before you can apply for a new driver's license. Read below for more detailed application information and eligibility requirements. You must exchange your out-of-state driver's license for a Massachusetts driver's license as soon as you become a MA resident. 1 document proving U.S. citizenship or lawful presence/date of birth. IF your driver's license is from Canada, Mexico, or a U.S. territory (including Puerto Rico), you MUST show a driving record that is no more than 30 days old. Mortgage or lease documents dated within 60 days. State/federal/municipal documents such as first class mail. A utility bill, credit card statement, or medical statement dated within 60 days. $115 for a Class D.
$115 for a Class M.
$130 for a Class D and Class M.
The MA RMV does NOT accept photocopies of documents. 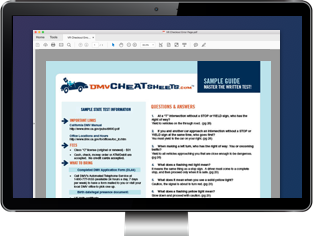 For a complete list of approved documents, see the RMV website. *You MUST pass a vision exam, knowledge test, and road test if your out-of-state license has been expired for more than 1 year. Denial notice from the Social Security Administration. Proof that they have been granted legal sty in the U.S. for at least 12 months, as well as valid, verifiable immigration documents. Class A: For operating a combination of vehicles with a total weight of 26,001 lbs. or more. Class B: For operating a single vehicle with a weight of 26,001 lbs. or more. Class C: For operating vehicles that transport at least 16 passengers or carry hazardous materials. Class D: For operating a vehicle that does not meet the requirements for a CDL, except for buses, tractors, semi-trailers, and truck-trailer combinations. Class M: For operating a motorcycle. For more information, see our page on Motorcycle Licenses in Massachusetts. Non-commercial driver's licenses are valid for 5 years. For commercial driver's license (CDL) classes and information, see our page on Applying for a New CDL in Massachusetts. Have a MA learner's permit. Pass a written test, driving test, and vision screening. You must get a learner's permit before you can apply for a new driver's license. The permit allows you to learn and practice driving while accompanied by a licensed driver. Your Massachusetts learner's permit will be valid for 2 years. If you are under 18 years old, a parent or legal guardian MUST sign your application. Certificate of Citizenship (Form N-560 or N-561). Lease or mortgage documents dated within 60 days. Federal-, state-, or municipal-issued documents, such as first class mail. A medical statement, credit card statement, or utility bill dated within 60 days. Payment for the $30 application fee. Photocopies of documents are NOT accepted. Visit the MA RMV website for a complete list of accepted documents. *NOTE: REAL ID applicants without an SSN MUST present a denial notice from the Social Security Administration, a foreign passport, appropriate Visa, and an I-94 form. Applicants who ARE NOT U.S. citizens must provide proof they have been granted legal stay in the U.S. for at least 12 months, in addition to valid, verifiable immigration documents. The RMV suggests that you study the MA Driver Manual to prepare for your written exam. A time-saving alternative is to study with an online practice test from our certified partner. NOTE: If you applied for a Massachusetts driver's permit BEFORE 3/26/2018, but will take your driver's test AFTER 3/26/18, you must prove citizenship or lawful presence in the U.S. BEFORE you will be issued your driver's license. Consult our Apply for a Learner's Permit section above for details on providing this information. To contact the Massachusetts RMV at (857) 368-8000 to schedule your driving test. A Class D or M Road Test Application (Form RDT103). A registered and insured vehicle. Has at least 1 year of driving experience. Has a valid U.S. driver's license. Payment for the $35 driving test fee. A stamped and signed learner's permit (after completing the driving test). Motorcycle endorsement on existing Class D: $15. Did you know that Massachusetts requires 4 kinds of car insurance coverage? Learn more about MA auto insurance requirements in our Insurance Center. Application to take a Class D OR Class M road test with the Massachusetts RMV. If a minor is taking the road test, form must be completed by a parent or legal guardian.